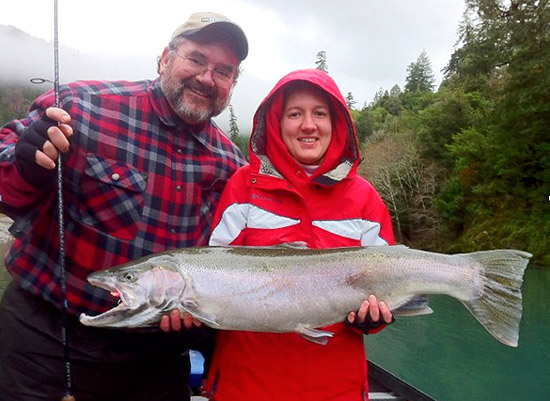 A recent article in the Medford Mail Tribune tells of Emma Winter's first winter steelhead fishing trip and the reward of landing one of the Chetco River's large mint bright steelhead. Saying the Chetco is to Oregon as the Kenai is to Alaska, the article (appearing in papers as far flung as the Billings (Montana) Gazette) also discusses theories about why the Chetco River consistently produces large winter steelhead and chinook salmon. According to Wikipedia, the Kenai River is the most popular sports fishing destination in Alaska, especially for Chinook salmon. Little known until fairly recently, the Chetco River's world class salmon, steelhead and cutthroat trout fishery has become a magnet for sports fishing in Oregon and California. The salmon, steelhead and cutthroat trout the River produces, along with its beauty and exceptional water quality, are of major economic importance to the communities of the Wild Rivers Coast and Curry County. Big steelhead such as this — both wild and hatchery fish — have become more common this season on the Chetco, a south coast stream known as Oregon's version of Alaska's Kenai River. But just what made Emma Winter's first steelhead such a doozy is unknown because no one took samples of the fish's scales, which show subtle changes denoting age and number of spawning runs. It could be a rare hatchery fish in its third spawning run, having survived and returned to the ocean after its first two runs to beef up for that final run. "It could be a 5- or 6-year-old fish, potentially, but we don't see many of those," Confer says. Another explanation is that the fish spent an extra year or more at sea before making its first and only spawning run. That would have doubled the amount of time it could binge on krill and other ocean food that helps steelhead pack on the pounds. And it helps that Chetco spawners have the big-fish gene in them. "If there are good ones in the wild populations, there should be good ones in the hatchery population — and that's what we're seeing," Confer says. Last year guide Andy Martin of Wild Rivers Fishing released this beautiful 20 pound wild steelhead to keep the Chetco River's big fish gene pool strong. Selfless conservation actions like this are to be commended. However the fact, that Oregon Department of Fish and Wildlife is saying that hatchery steelhead are coming back to spawn in the Chetco River two and possibly three times might mean that they need to think carefully about their hatchery practices on the river. 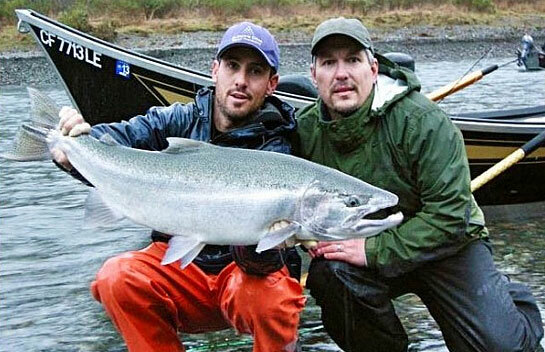 The Chetco's native, naturally reproducing fish are irreplaceable. The goal of conservation should be to protect and preserve this outstanding value. It's completely undammed—free flowing from its headwaters to the sea. It has a high percentage of National Forest lands in its watershed—78%. A high percentage of those lands are protected as the Kalmiopsis Wilderness—44%. With thousands of additional acres in Inventoried Roadless Areas. It has excellent water quality. And much of its length outside of the Kalmiopsis Wilderness is protected under the National Wild and Scenic Rivers Act. The facts—and the examples of the Chetco's sister watershed, the National Wild and Scenic Smith River, and the National Wild and Scenic Elk River—both with a high percentage of federal and protected lands in their watersheds—show why we must conserve not only our rivers but their watersheds. Currently, the discussion over our National Forest and BLM lands in Oregon is highly tree centric. Instead, as the Northwest Forest Plan, sought to do with the Aquatic Conservation Strategy, we should focus on watersheds and forests. Learn more about and support the Elk River Salmon Emphasis Area. 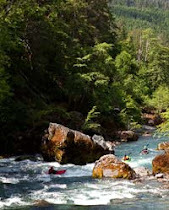 Let's really protect Oregon's last best, wild free flowing rivers and their watersheds. There's lots more to do on the Chetco and National Wild and Scenic Illinois River and much of the National Wild and Scenic North Fork Smith River in Oregon is unprotected while the rest of the river in California is within the Smith River National Recreation Area.